Wanna relocate some money into my wallet? Patreon. For Minecraft 1.7.10, check out the original Refined Relocation. This is a full rewrite and redesign of the original mod, for modern Minecraft version. Preset Filter with common things like "All Ingots", "All Ores", etc. Creative Tab Filter and Mod Filter - self explanatory. Dynious, original creator of Refined Relocation, who has given me permission to continue the project. How do I have what set to input or output? Only items stored after filter setting are classified. It would be nice if items already stored are also classified. Has anyone gotten the sorting interface working on a server? I get an exception in my log when I try to access the sorting interface filter GUI, but only when playing on my server. If I start a single-player game with the same set of mods, it works fine. I'm not sure about LAN. I have not yet entered a bug report, as I cannot 100% rule out conflicts with other mods. This was a bug that has been fixed in the newest version. Any chance we could get this with compat for metal chests? What is metal chests? Can't find anything on it. If you mean Iron Chests, they are already supported. Adding native support for other mods on my side has a high maintenance overhead and may unexpectedly break, so I'd like to keep it to a minimum (and only support the most essential mods by default). You can use the Sorting Interface to connect Metal Chests chests though. Are relocators going to be added anytime soon? Preferably compatible with 1.11.2 since that's the version I'm on. I loved the original RR when I was on 1.7.10, glad to see it's being brought to newer versions! Pipes are tricky to get right, especially in regards to performance, and there are pipe mods already out that do a better job than I could do, so my current stance is to just encourage using those mods for piped item transport. You can still connect them to a block extender and get most of the modular features Relocators used to have, and I'm willing to add those I missed (either within the block extender or a separate block). But either way, new features are always latest version only, 1.11.2 is only getting bugfixes now. So far I'm liking the looks of this mod and have installed it in my pack however I would really appreciate if there were a wiki site which I have been unable to find if there is so I'm going to assume there is not one or a book of some kind in game that would tell us how the different blocks work and their settings. 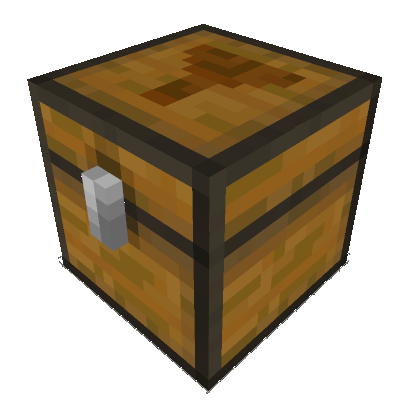 Can we upgrade Sorting chests as iron chests? I just started a longer play-through with my friends yesterday and today I realized that there are no block extenders in 1.10.2 version. Is it possible to add them? If so, could you give an ETA for it like next week, this month or something so we can plan out if we can wait or if we should start sorting things normally? Thanks for porting the mod to 1.10.2.